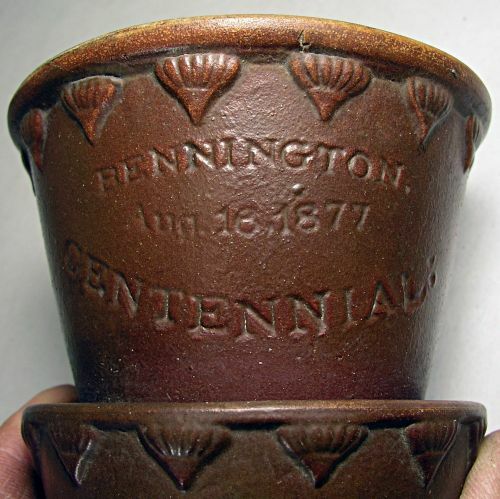 Bennington Vermont Centennial Aug.16 1877 miniature flower pot. 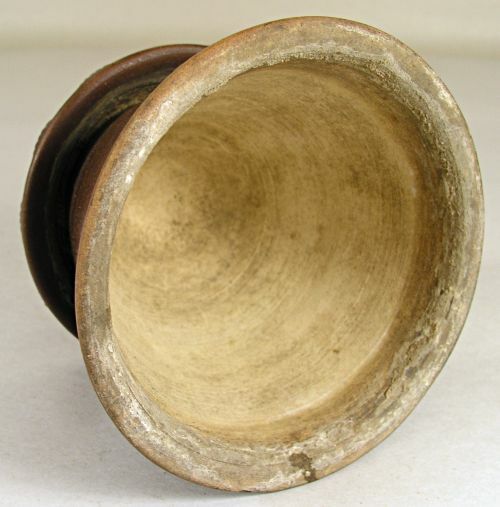 Wonderful condition with no chips cracks or restoration. 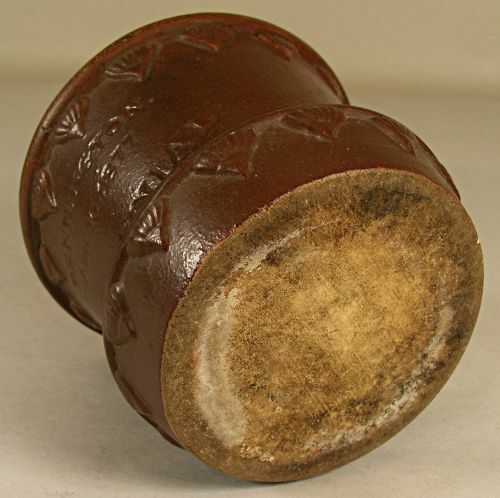 Very rare form. 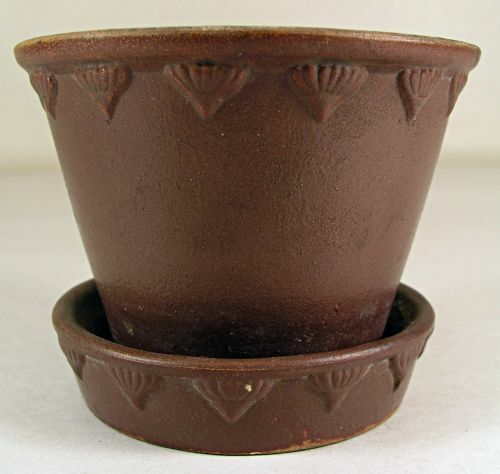 Little brown jugs do appear on the market but very rarely do the flower pots especially in this condition. 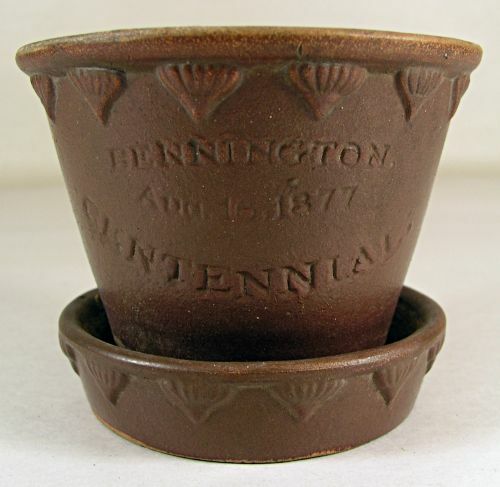 Dimensions: Measures 3" tall X 3 7/8" across the top and 2 7/8" across the base.